Arrangement of optimum development funds for strengthening and progress of the University to provide quality education and research in the field of Veterinary and Animal Sciences. To guide, assist and coordinate with the subject specialists of the University to prepare various development projects for strengthening and launching of various developmental activities of the University. To scrutinize and submit the development projects of the University for seeking funding from different donor agencies. To follow the already submitted projects for their approval and release of funds from competent authority. To monitor the implementation of approved development projects and get progress report of ongoing development projects from different departments. 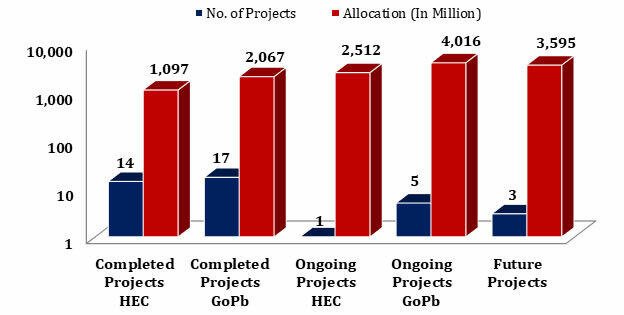 To coordinate and furnish progress / implementation reports of development projects to the Higher Education Commission or other donors. Realizing the importance of livestock and poultry sectors in the economy of the county and growing need of human resource and research work in veterinary & animal sciences and allied fields in the country, this historic institution was upgraded as University in 2002 from College of Veterinary Sciences, Lahore. Since its creation we are endeavoring hard and are successful to fetch handsome funding for various expansion programs and renovation of existing infrastructures under a well visualized and approved development plan of the University from both the HEC and Government of Punjab (GOPb). Computerization & Networking of University of Veterinary and Animal Sciences, Lahore. Rehabilitation Up-gradation of Existing Structures at Bhunikey Campus and University Library. Strengthening of Veterinary Clinical Services at UVAS, Lahore. Provision of Hostel for Visiting Faculty at UVAS, Lahore. Computerization and Networking of UVAS Phase- II. Establishment of Research (Training) Facilities for Department of Wildlife & Ecosystem at Bhunikey Campus, UVAS, Lahore. Strengthening of Facilities at the University Diagnostic Lab. & Establishment of Animal House. Establishment of Students Services Center at UVAS, Lahore. Strengthening of I.T Facilities at City and Ravi Campus, UVAS, Lahore. Quality Control Laboratory to Test the Livestock and Foods of Animal Origin with Reference to WTO. 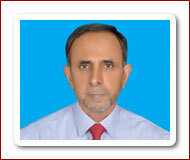 Up-gradation of College of Veterinary Sciences, Lahore to University of Veterinary and Animal Sciences, Lahore. Up-gradation of Quail Farm and Establishment of Avian Research and Training Centre. Establishment of College of Veterinary and Animal Sciences, Jhang. Augmentation of Foot and Mouth Disease Vaccine Production Potential and Immunoprophlyaxis of the Disease Amongst Cattle and Buffaloes. Establishment of a Medical Health Centre at UVAS, Ravi Campus, Pattoki. Commercialization of Value Added Meat (Fresh Beef, Organic Mutton and Camel Veal) From Fattened Young Buffalo Calves, Young Camel and Male Goats / Sheep Reared Under Extensive Organic Production system. Provision of Urgently Needed Academic Block, Student Hostels and Faculty Apartments at UVAS, City Campus, Lahore. Enhancement of Research Facilities at University of Veterinary and Animal Sciences (UVAS), Ravi Campus Pattoki. Livestock Sector Development through Capacity Building, Applied Research and Technology Transfer, University of Veterinary and Animal Sciences (UVAS).